The great Hadith expert (Hafiz), proficient assessor of Hadith (Naqid), biographer, and historian (Mu’arrikh), al-Imam al-Hafiz Shamsud-Din al-Dhahabi (d. 748 AH), is agreed upon to have been one of the leading specialists in critically examining the background and status of the narrators of Hadith from the earliest times up until his time. He amassed a number of scholarly works in this venture. In this lengthy article approaching a hundred pages, focus will be made principally on the work entitled Mizan al-I’tidal by Imam al-Dhahabi and whether or not the great Mujtahid Imam known as Abu Hanifa al-Nu’man ibn Thabit al-Kūfī (b. 80 AH – d. 150 AH) was included amongst the entries on over 11,000 narrators, male, female, reliable and unreliable reporters within the Mizan al I’tidal, or not. 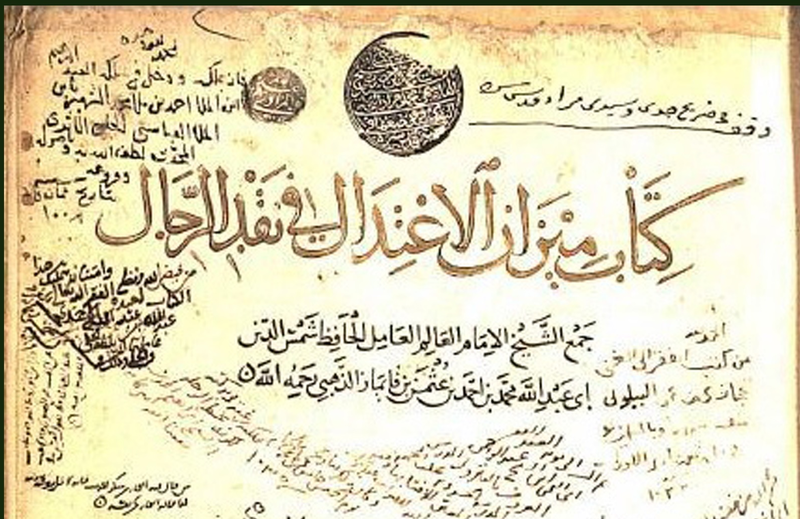 In carrying out this task the reader will be introduced to the background to the Mizan, the works that were written as a continuation of it, the utilisation of a number of original Arabic manuscript copies of the Mizan, scholarly views, and the matter of whether or not al-Imam al-A’zam Abu Hanifa was enlisted within the accessible manuscripts of the Mizan, as well as in the modern printed editions spanning over a century now.